Florida is where many people instinctively look for a retirement or active adult community - it probably has more retirement oriented communities than anywhere in the world. Its climate is warm all year round and you are never too far from water. Living costs can vary a great deal within the state; inland and northern towns tend to have more inexpensive options, while high-end communities like Naples have real estate prices and a significantly higher cost of living. Recreational activities are exceptional in this state with a double coastline on the Gulf of Mexico and Atlantic Ocean. The 2015 household population was just under 20.3 million and growing. Median age is 40.7, several years higher than national average. This page will acquaint you with some basic facts about the best retirement places in Florida. Florida is so big that is likely to have the perfect retirement lifestyle for just about anybody. 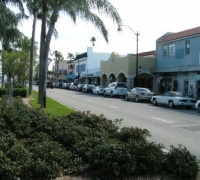 Some obvious picks include retirement places like Venice, Key West, and Winter Park. Other towns to investigate include: Stuart, Delray Beach, Sarasota, and Gainesville. Two other popular retirement towns that are very different but close geographically are Abacoa and Vero Beach. Many people are interested in a Central Florida retirement. 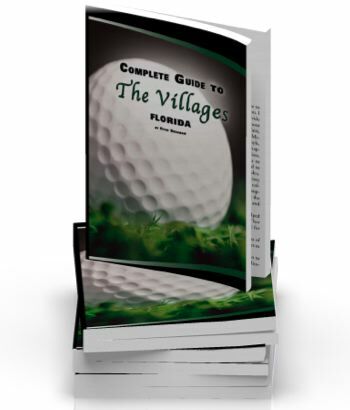 See our free mini-guide to The Villages (near Ocala), which is the #1 most popular active adult community at Topretirements.com. For more ideas, see the list at right. The Florida climate is characterized as humid subtropical. Summers are hot and wet, winters are warm or mild. Marine air from the Gulf of Mexico and Atlantic controls the climate. Key West is the only frost-free location in the continental U.S. In 2010-14 the Florida household income was $47,212, well below the all state median of $54,482. Home prices declined drastically in Florida after the 2008 recession but have come screaming back since then. Median home value in late 2016 was $194,200, just above the national median (Zillow data). By way of comparison, the National Association of Realtors reports the median sales price of a home in the U.S. to be $240,700. In Cape Coral/Ft. Myers the median selling price was $230,000 in mid 2016 (National Association of Realtors), whereas in Miami/Ft. Lauderdale the median was $310,000. Tax Burden: At 8.9% Florida's total state/local tax burden is 34th highest in the nation (Source: The Tax Foundation). Marginal Income Tax Rates. Florida is one of the few states with no income tax, which automatically makes it a tax bargain. Obviously Social Security and other retirement income is not taxed. Sales Tax: Sales tax is 6%, one of the higher rates compared to other states. Property Taxes: Florida`s successful Save Our Homes law has attracted tens of thousands of permanent residents from other states. 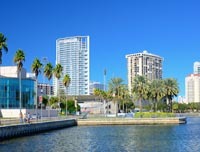 The Florida law caps increases in a home`s assessed value for full time residents at 3% a year or the CPI, whichever is lower. Full time residents are also eligible for a $50,000 exemption on assessed value. Local communities in Florida can change mill rates at will, but at least the most volatile component of the property tax, wild swings in appraised values, are moderated. The state is ranked 16th highest in per-capita property tax collections with $1216 per capita collected. Estate and/or Inheritance Taxes. Florida does not have inheritance or estate taxes. See very interesting commentary about "Save Our Homes" from OldNassau in our Forum. Florida does not have a certified retirement community program. Click on the Florida Retirement Community reviews on the right. Or to find information about what retirement is like in different states for example to retire in Kentucky, retire in Georgia, retire in North Carolina, and retire in Tennessee.